After lots of reading, I'm pretty well sold on doing magnetseals on my bedroom windows. (And the rest of the house if those work out.) 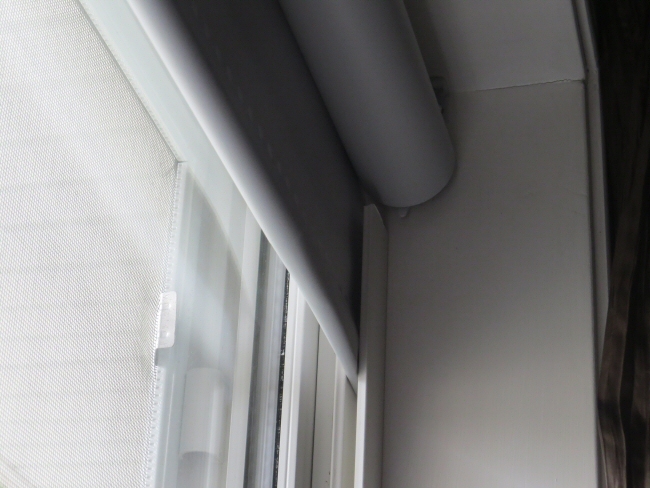 I'm also thinking of doing blackout blinds in the bedroom, but would like to be able to open and close them. Ideally, I'd just use steel C channels, and then the magnetseal can stick right to them. Otherwise I'd need to add C channels for the blinds, and L brackets for the panels. This gets me to my question. I'd like to be able to open the blinds without taking down the acrylic. Has anybody figured out a way to pass the chain/cord for raising and lowering blinds through the magnetseal panel? That would let me maximize my air gap, only use one channel/bracket for both problems, and still be able to open the blinds. I've also considered motorized blinds, but those would add a few hundred dollars to the project. P.S. The verification steps really are a pain. This keeps rejecting me. Is the image verification case sensitive? If the answer is a number, am I supposed to put the digits, or write out the number? Is the question/answer case sensitive? Re: Blinds cords through magnetseal? Putting a hole in the acrylic would greatly negate the value of noise reduction. We absolutely do not recommend any blinds or window covering in the air gap between the window and the acrylic. The heat build up will warp the blinds. This post is interesting to me for both reasons. First, I have an angled dormer-style window with a roller blind, and when I put a secondary acrylic pane up will block the blind chain. I'm hoping to hear some more options on a fix for this. I thought a couple of small holes also, but figured the airtightness would be compromised. And second - the forum's verification barrier has also has been driving me crazy, and I'm pleased to know I'm not the only one. I'm only getting a 1 out of 4 attempts to log in, and I still haven't figured out one of the questions, "stopping annoying noise means?". Hint: It's NOT the obvious 'sound proof'!!!! Why not just the CAPTCHA - do we really need a 3-stage checkpoint when we've been authorised with a registered signup? I mention this not as a complaint, but as a way to make this fine forum more user-friendly.